One of the highlights of this January 2017 has been to look at the great images showing up in the #myboldhues IG feed. When we started this hashtag a couple of weeks ago, I never thought I would get so much inspiration from this humble feed. Claire Brody’s style always has my heart. 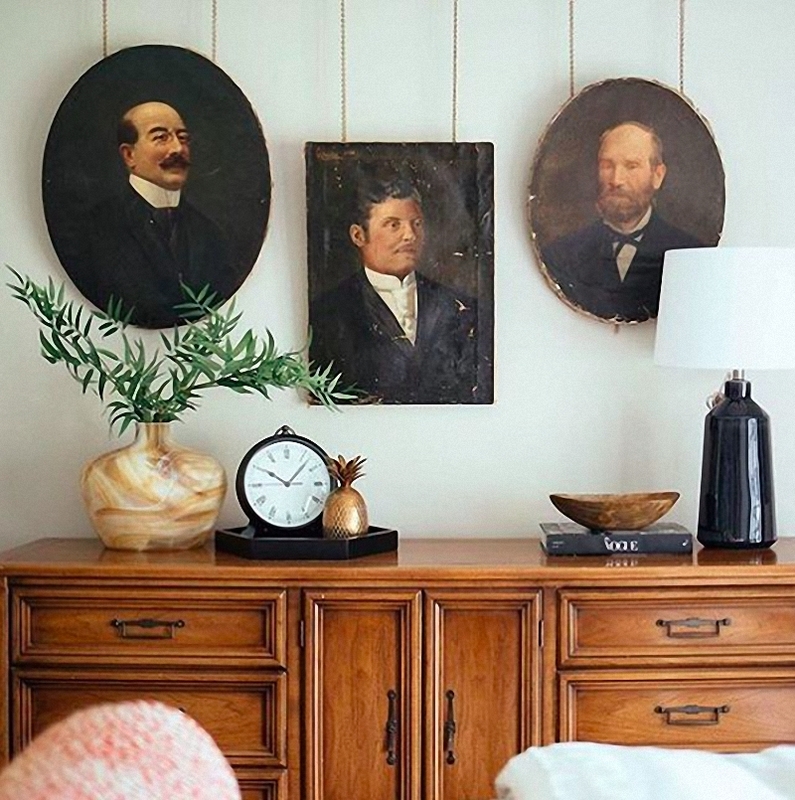 I have a thing for vintage portraits. (you don’t believe me? Well, here and here is the proof.) The way she hang them in here is a great idea for a display. Also, the lamp, flower vase, and cabinet go so perfect together. I love everything that is happening here. Mary from @coppercorners hand painted this wall. With that talent there is no need for wallpaper anymore. 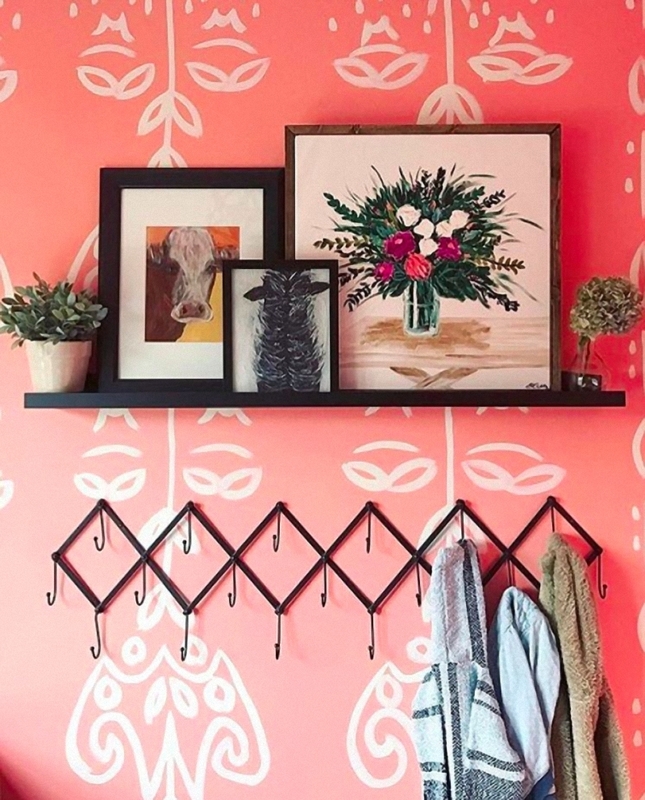 The combination of pink and black, plus all those paintings on the shelf, look perfect. 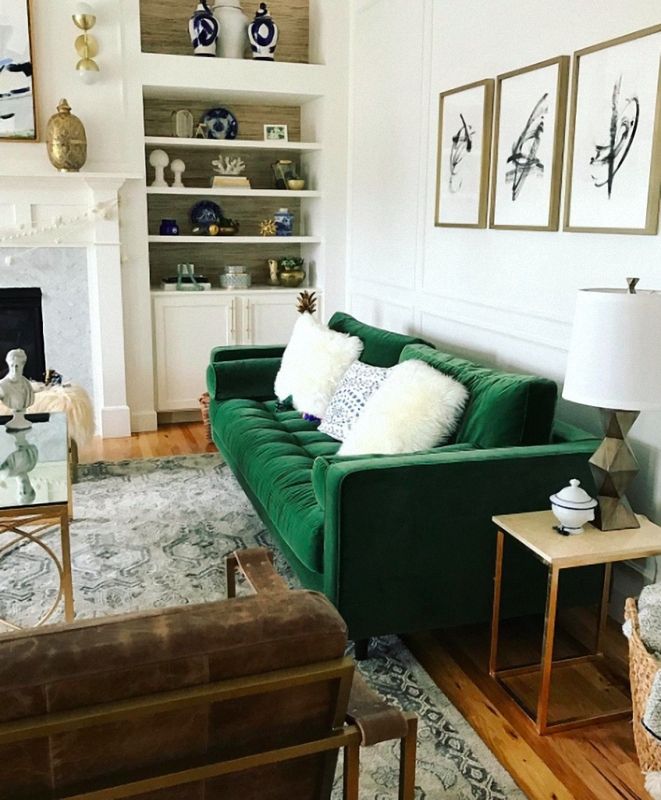 I have been looking for a green velvet couch for a while so you can understand how as soon as I saw this photo by suburban bees, I filed it into my favorites. That green sofa makes this room perfect. What an eclectic mix you can find in this photo! 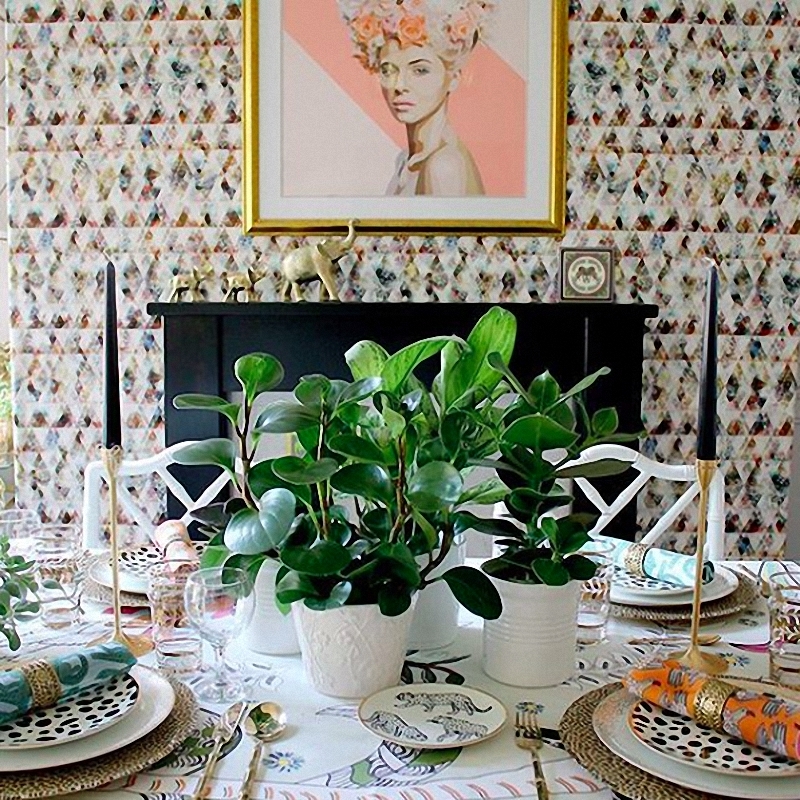 That wonderful wallpaper, the print, and that incredible table setting. I love it all. 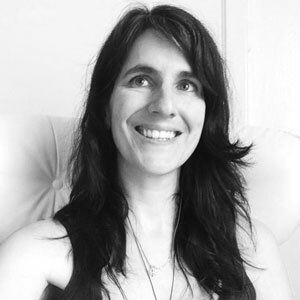 Kimberly is a master at combining different styles and making them look cohesive. Love this room. The blue in here makes this place peaceful and strong. The addition of yellows and greens are a wonderful touch. 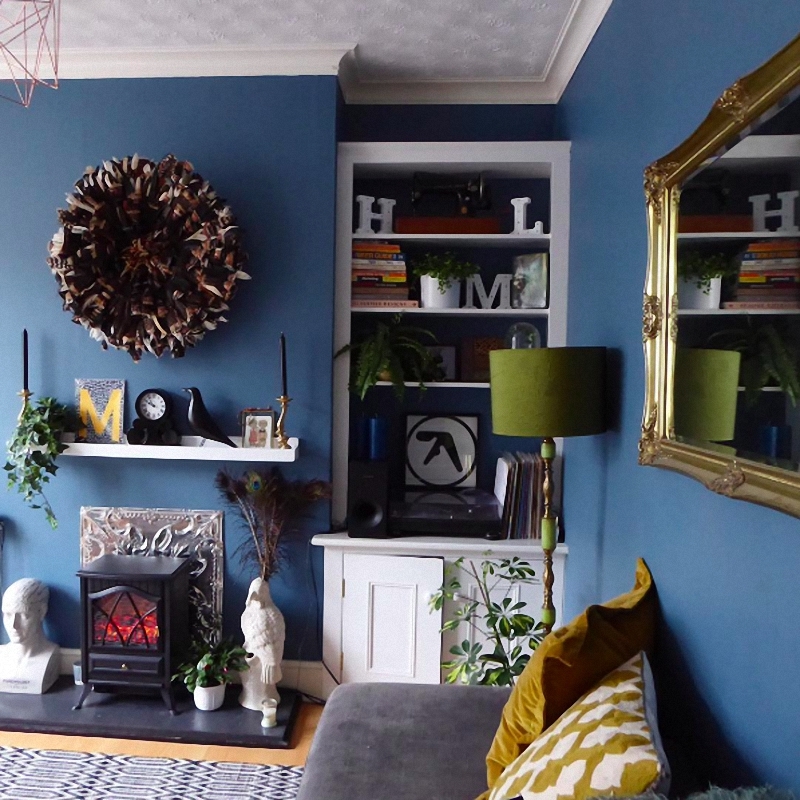 Love what @thenewsaintly did in her living room. Look at all the decoration details! Ok, that was the first round-up of this wonderful hashtag. Thank you so much for stopping by and don’t forget to keep on tagging your photos. 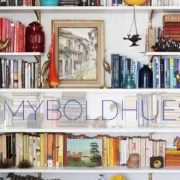 #MYBOLDHUES feed is a place where people can share spaces, projects, and moments that are full of color. We will be featuring our favorite posts on the last Wednesday of each month so, please, tag along to participate! Thanks! Yours is amazing, too! 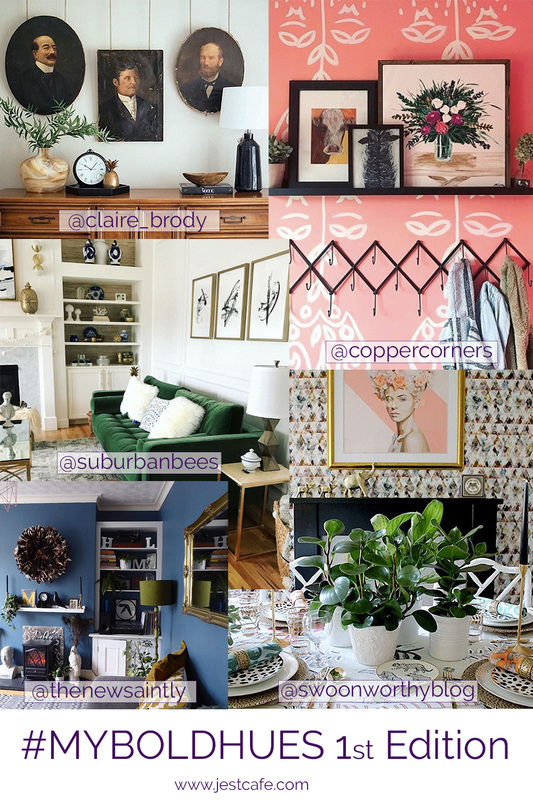 I love all of these designers! Sooooo good! Yes!!! I loved that emerald couch too!!! I want to buy something similar! coppercorners pink walls still have me drooling. Great choices!